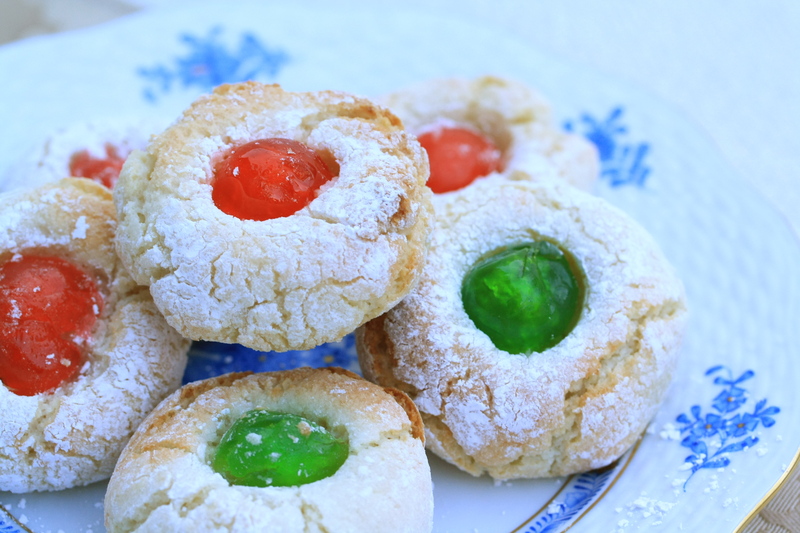 According to the food bloggers of the world, we are now in the throes of Christmas cookie season! 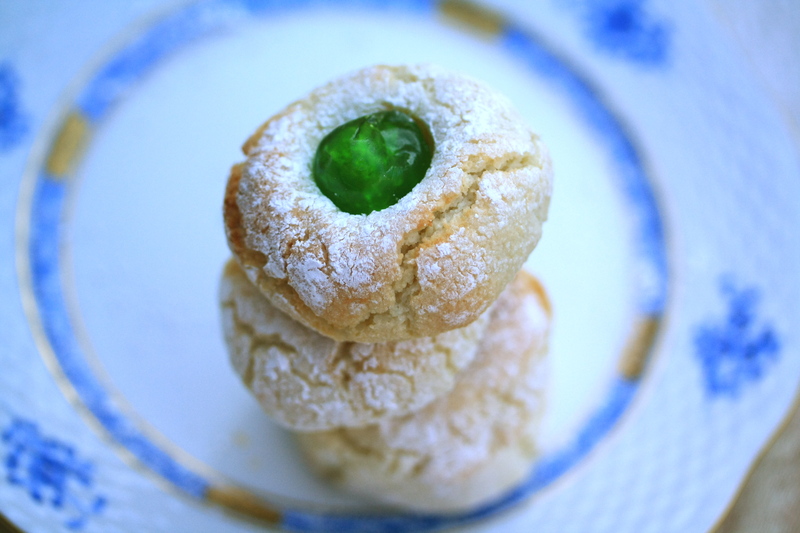 I think everyone can agree that cookies are pretty great, so I will conform to the rest of the internet and present you with a cookie to celebrate with: paste di mandorla, or almond cookies, a Sicilian specialty. 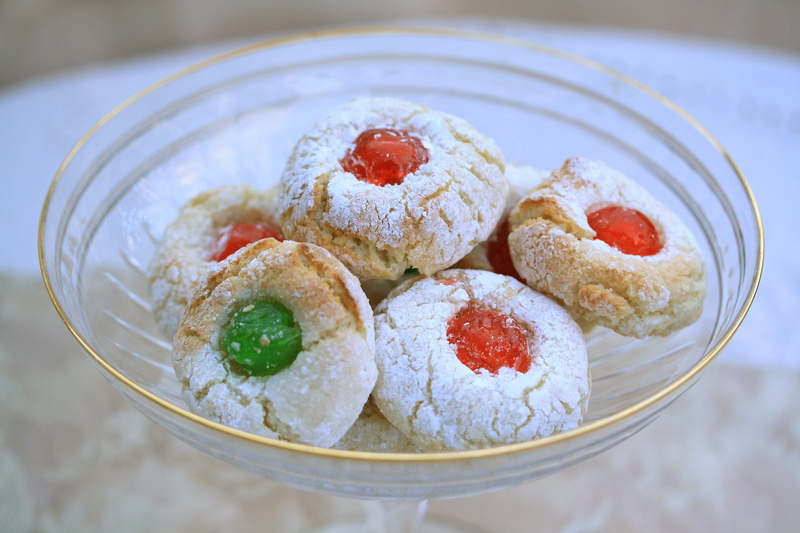 These are available year-round in pasticcerie (pastry shops) across Sicily, but if you add Christmas colored candied cherries, they dress up nicely for the holidays. Almonds are widely used in Sicilian cuisine. 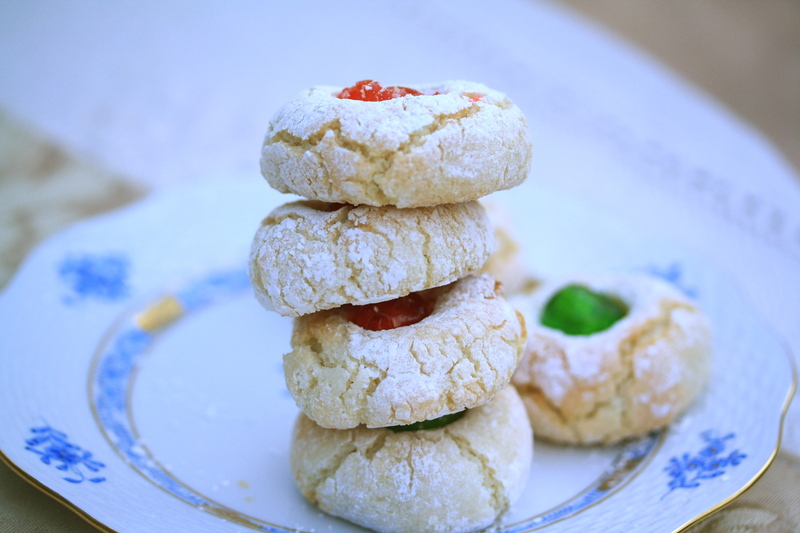 It was the Arabs who brought the practice of mixing ground almonds with sugar and egg whites to form these deliciously fragrant and nutty (not to mention naturally gluten free) cookies. They are really a very simple treat to make and stay chewy and tender for many days. They would probably hold up well to shipping, if you are the kind of person to send people Christmas cookies in the mail. In a food processor, blend the almonds, the sugar and little by little the egg whites, then the almond extract. It should become fine paste. Form 3 logs out of the paste, and roll them in the powdered sugar. Cut into one inch slices and roll them into balls, then place them on a cookie sheet covered with parchment paper. Place half of a cherry in the middle of each of them (can use a whole almond, if preferred). Let them rest for 2 hours, and then bake at 360 F for 10 minutes. Let cool before taking them off the sheet.